Love him or hate him, the polarizing force known as Logan Paul is back with his all-new sequel The Thinning: New World Order. While some fans have been waiting anxiously to enjoy the follow-up to Paul's 2016 smash hit The Thinning, others can't wait to bash it with a sledgehammer, jumping on their own Youtube channels to give the movie a wide eyed reaction in explaining how awful these movies are. Youtube dropped The Thinning: New World Order out of the blue yesterday, which comes as the anticipated sequel to the 2016 dystopian-thriller starring Logan Paul and Peyton List. It is now available to stream on YouTube Premium in full. In The Thinning: New World Order, Laina Michaels (List) becomes a target of Governor Dean Redding's Machiavellian presidential campaign after risking her life to expose the corruption of the thinning test, an aptitude exam administered to students in an attempt to control over-population in a dying world. Blake Redding (Paul), trapped and enslaved in a secret underground work camp, must fight to reconnect with the love of his life and do what no failed student has done before: escape. Paul and List's social media following combined with those of co-stars Lia Marie Johnson ([email protected]), Calum Worthy (American Vandal), Charles Melton (Riverdale) and director Michael Gallagher (Internet Famous) give the film's talent a combined social footprint of more than 91 million followers. Paul has more than 64 million combined followers across social media and 23 million subscribers on YouTube. List, best known for the hit Disney Channel television series "Jessie," has more than 18 million followers across her social platforms and most recently appeared in the Hulu Original Series Light as a Feather. Like the 2016 movie, The Thinning is directed by Michael Gallagher, and its script was written by him and Steve Greene. Gallagher, alongside his Cinemand partners Jana Winternitz and Michael Wormser, produced The Thinning: New World Order with EOne's Greg Siegel. Fans can watch both The Thinning and The Thinning: New World Order now on Youtube Premium. In 2016's The Thinning, in a dying world, population control is dictated by an aptitude test in high school. When two students discover the test is all smoke and mirrors and hiding a larger conspiracy, they go against the system to expose the conspiracy and take it down. 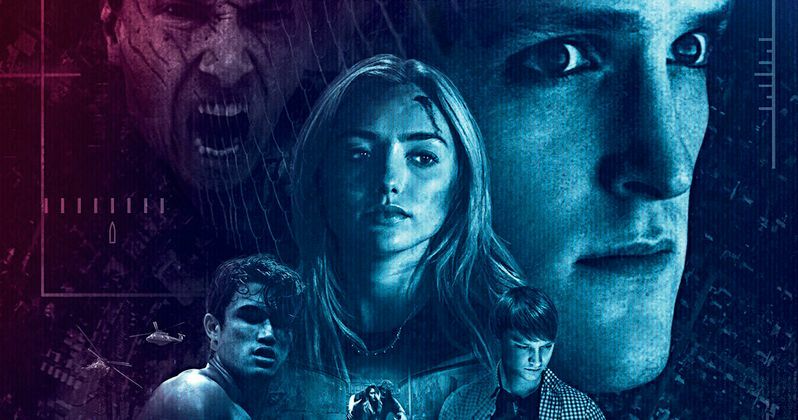 Take a look at the trailer and poster for The Thinning: New World Order, and decide for yourself if Logan Paul gets a pass on this one, off she should skyrocket to big screen fame, or if someone should just lock him up in a dumpster for the rest of eternity. The verdict is still out, though there are a bunch of people crying to get this guy off their computer screen. Months removed from his little Suicide Forest stunt, it appears that Youtube still wants to be in the Logan Paul business. And there is no denying, the guy brings in a lot of money for the company and participating businesses.